Find the best home deals for sale in Fish Creek, WI, right now on Foreclosure.com at drastically reduced prices. 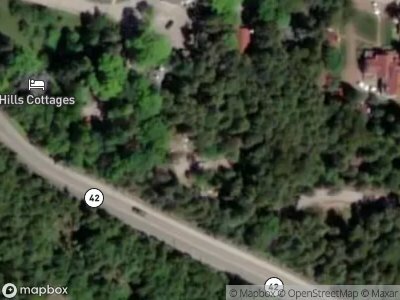 We currently have 1 of the best real estate bargains in Fish Creek, WI, in ”as-is, where-is" condition. These are discounted opportunities to buy a house in Fish Creek, WI for much less than current market value. As with any potential fixer upper in Fish Creek, WI you may (but not always) need to use some of the money you save at closing to make a few repairs and/or home renovations. Fish Creek is an unincorporated community located in Door County, Wisconsin, United States, within the town of Gibraltar and is located on Highway 42 along Green Bay. The first settler of Fish Creek was Increase Claflin and his family circa 1844, but the village founder is considered to be entrepreneur Asa Thorp. Loggers and fishermen started settling in Fish Creek in 1853. Thorp owned much of the area's land by that year, and built Fish Creek's first dock in 1855. Fish Creek's oldest unchanged residence, the Alexander Noble House, was built in 1874 and today is on the National Register of Historic Places. By 1900, summer tourists were frequently visiting the village, and Fish Creek became a resort community. Fish Creek is also adjacent to Peninsula State Park, and its main entrance is in the village. The park has a cream city brick lighthouse built in 1866. Eagle Bluff Lighthouse is fully restored, furnished with fine antiques, as it looked in the 19th Century, and is open daily for tours in the summer months. Door County also holds the title of the "county with more lighthouses than any other in the country". The great advantage of the almost 4,000-acre (16 km2) park is that it is the main view from Fish Creek Harbor. There are currently 1 red-hot tax lien listings in Fish Creek, WI.